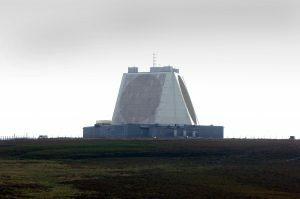 The project entailed the upgrading of the early warning radar at RAF Fylingdales on the North Yorkshire Moors. the project was part of the early warning Global Missile Defence System which provides early target detection and mid-course tracking. The project included the installation of 250Kva UPS’s, power distribution, step down transformers, BMS controls to Air Handling Units, fire and emergency lighting. Consideration of Fylingdales Global Defence role was essential to maintain its operational readiness at all times. Microsoft Project Manager was employed to track progress of the project and identify the individual tasks required to achieve a successful and timely completion. The on-site CAD engineer coordinated the services throughout the project. EMCE completed the £500,000 project 45 days ahead of schedule.